The traditional Indian attire for women is as elegant as it is evergreen. The Saree never seems to lose its charm and beauty. Being essentially like a blank canvas for fashion designers, Saris have transcended from being just a conventional and traditional attire for Indian women to be more of a glamorous and versatile attire. 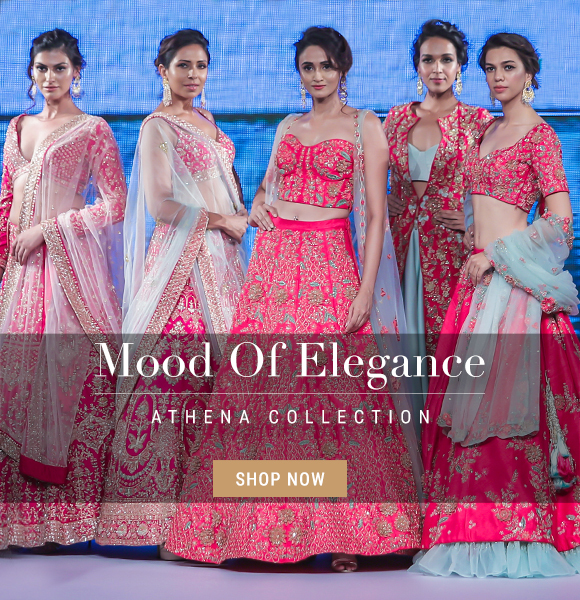 The versatility of Trendy sarees allows them to be as lavish and over the top as you want or it may also be subtle and feminine, overflowing with grace and elegance. Sarees that are capable of instigating new fashion trends or exemplifies current fashion trends in all its glory can be called a trendy saree. We at Kalkifashion.com, forever strive to offer you the best and the latest, designer collection of Trendy sarees through our online portal. We maintain a huge stock of exclusive designer sarees that are excellent for everyday wear as well as special occasions and events. We offer sarees in traditional and fancy fabrics such as raw and crepe silk, georgette, chiffon, net, cotton and many more. The options for embroidery and embellishments include zari work, butis, floral embroideries and exclusive designer borders. Color options for Trendy Sarees are include yellow, green, purple, magenta, off-white, grey and blue that can be worn on all kinds of occasions. Kalkifashion provides you with Free Shipping of our products worldwide and also the option of Cash on Delivery. Also, when you sign up with Kalkifashion, you get an 11% discount on your purchase of a Trendy Sarees online from our exclusive collection. We also have a ‘no questions asked’ 30 days Return and Refund policy to keep your satisfaction at utmost priority. 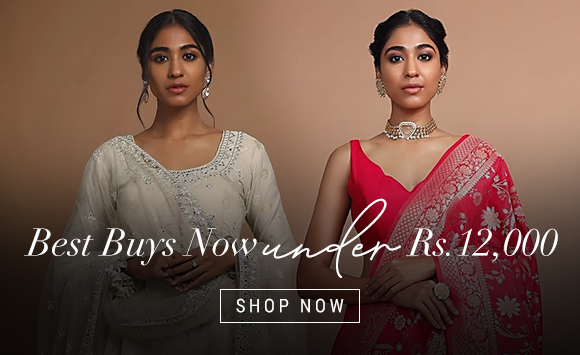 Just sit back at the comfort of your home and browse through our fashionable and highly curated collection of Indian Designer sarees in all their glory and variety, only on kalki.